With the 2018 Commonwealth Games on the Gold Coast fast approaching, Y&R Melbourne has been running a tactical campaign to give Melbourne’s sports fans the ultimate warm-up for the big event. Footy fans have been enjoying custom designed ‘Hot Seats’ – portable, heated seating that gives the feeling of watching sport on the Gold Coast. 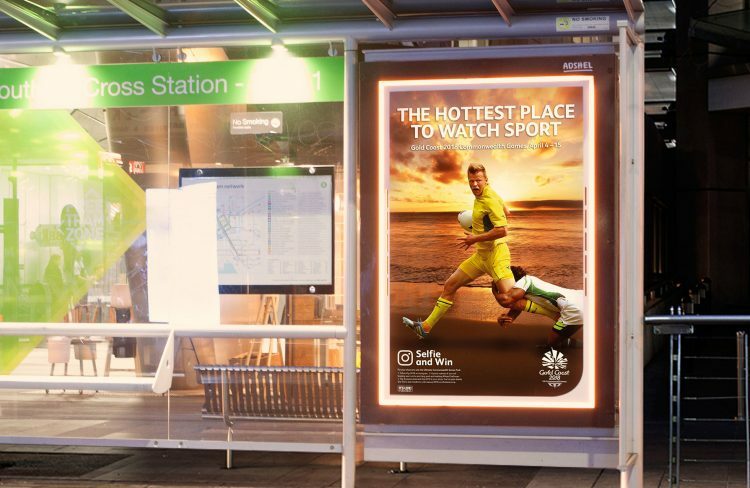 Commuters on the way to the game have warmed themselves with heated out-of-home panels along the chilly tram platforms, as well as having the chance to win a trip for four to attend the Commonwealth Games in April 2018. The campaign is designed to drive increased awareness in the Melbourne market, and is supported by radio, digital and targeted social content. Lara McKay, general manager of communications and marketing at GOLDOC, said: “The Commonwealth Games in 2018 will be a games like never before, as it’s the first to be held in a regional city and one as beautiful as the Gold Coast. “This execution takes one of the best aspects of the Gold Coast during winter – the amazing weather – to Melburnians to remind them to grab tickets for next April.